My initial statement was that “Crispy Brown Rice” cereal from Erewhon is no longer gluten free. I’d noticed the “gluten free” boxes had vanished from my local store, and that boxes which replaced the “gluten free” tagline with “no salt added” were present instead. The gluten comes from “organic barley malt”, rather than the “organic brown rice syrup” of the original. 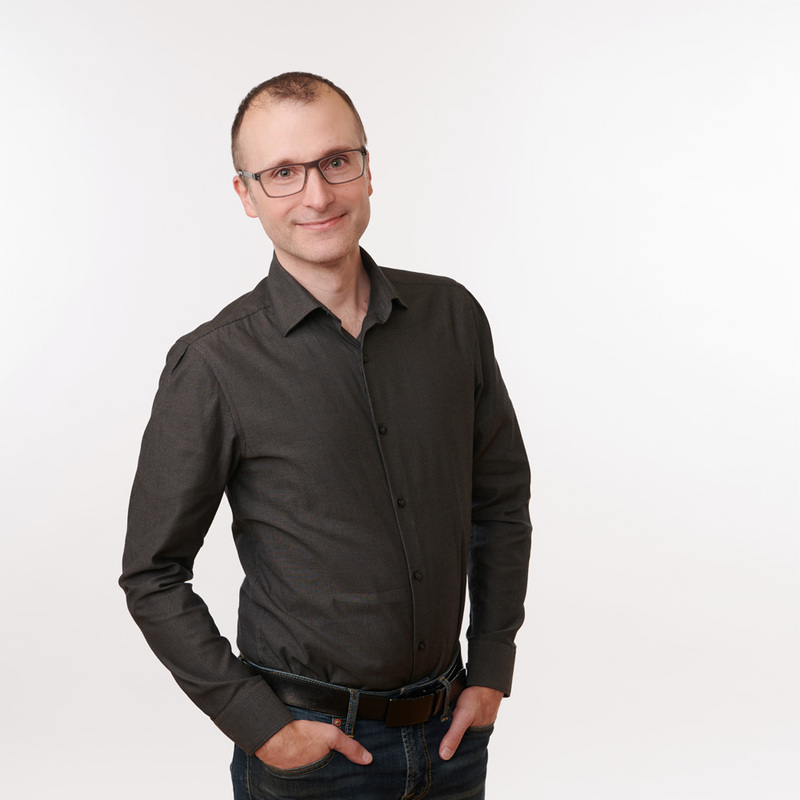 Since the boxes are otherwise identical (save for the tagline, and the ingredients sidebar), I thought attention needed to be brought to the situation. An update is needed: Attune (the new owners of Erewhon as of last year) appears to still be making the gluten free version! If your store is only carrying the “no salt added” version, ask them to bring back the “gluten free” version, and maybe they will! There’s one oddity which makes me think they’re going to phase out the gluten free version. The mg of sodium in the “no salt added” version is exactly the same as the mg of sodium in the “gluten free” version — “Less than 2,400 mg” according to the labels of both. In other words, there was no reason to create the “no salt added” version, other than to use the cheaper “organic barley malt”, rather than the “organic brown rice syrup”. Suspicious yet? I’ve sent an inquiry in to Erewhon to find out what their plans are. Thanks for your email. 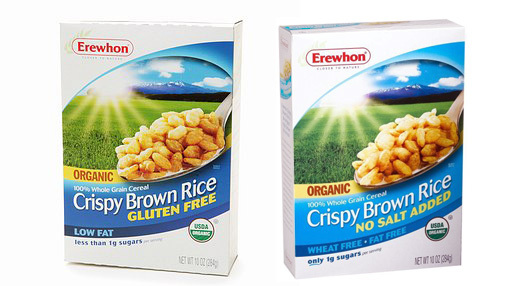 We are not phasing out the gluten free version of the Erewhon Crispy Brown Rice cereal. 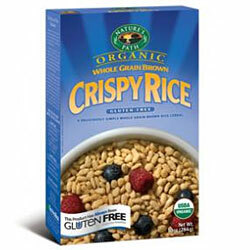 Actually, we have three versions of Crispy Brown Rice cereal- Original, No Salt Added and the gluten-free version. 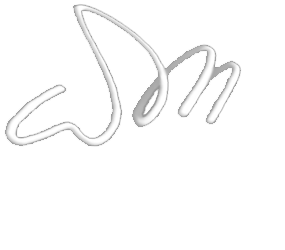 The Original was the first of the three of them and we began getting inquiries for a No Salt version which we later added. Then as we found more people were requesting a gluten free version, we created it as our first gluten free flavor, later followed up by four other gluten free flavors: Corn Flakes, Strawberry Crisp, Rice Twice, Cocoa Crispy Brown Rice and Crispy Brown RIce with Mixed Berries. We have talked about getting rid of the Original and No Salt versions but find there are a lot of people that like those flavors, and you know how it is with cereal- you find a favorite and it’s hard to stray… 🙂 Thanks for checking in and I hope this helps explain this better.